Mille was designed and built for the more demanding jobs. Hence it uses the most reliable components and the most technical solutions for a strong machine that is durable over time and with the best quality/price ratio. The Diesel version can be approved for road circulation and is ideal for car park cleaning. 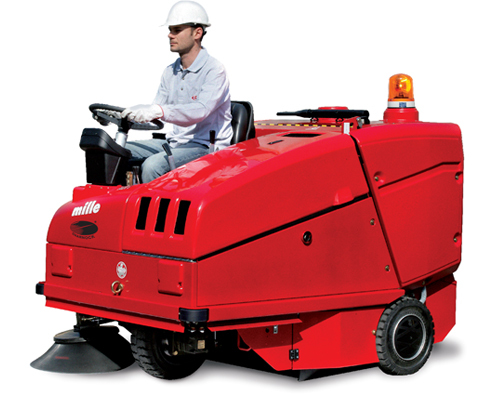 Its simplicity to use and maintain, reliability and low running costs make Mille particularlysuitable for hire.